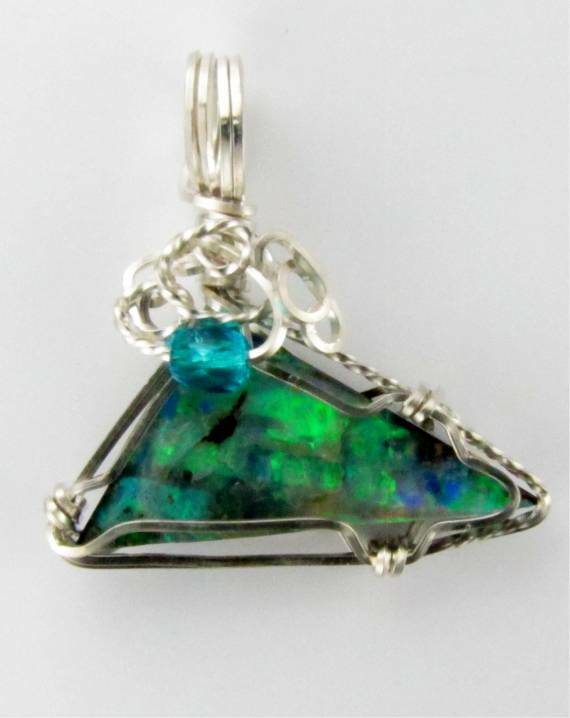 This is a stunning 7.5 carat Australian Boulder Opal triangular cut, not a doublet. 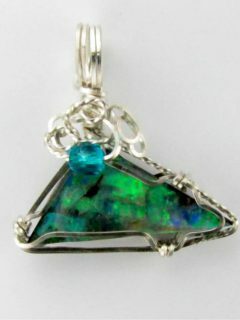 The face of the opal is natural, not having been polished and has the natural patina of opal which gives it a much richer color than is possible with photography. 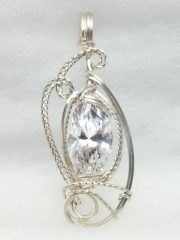 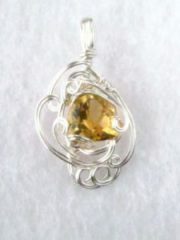 I have designed the pendant in Argentium Sterling silver using the Traditional Style wire-wrapping to show off the stone. 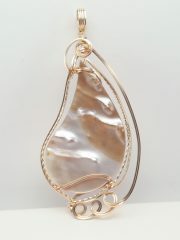 It is 1 1/4 inches by 1 1/4 inches with a bail that will accommodate up to a 6 mm chain or omega. 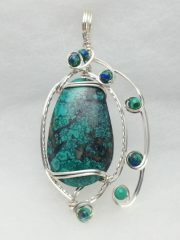 A single teal Swarovski crystal bead accents and highlights the colors in this beautiful opal. 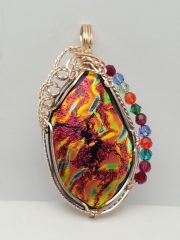 As are all of my designs, it is a One of a Kind.